At Clinique, we exist to create great skin. Simply. Safely. Effectively. From award-winning moisturisers, to revolutionary customisable Clinique iD™ Hydrators, Clinique products are always formulated for maximum results without irritation. The foundation and makeup products have strong cult following, while skincare heroes Moisture Surge™ and Dramatically Different™ remain favourites among beauty editors and bloggers alike. 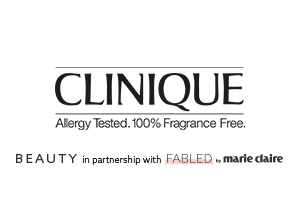 Clinique avoid using allergens, irritants, and ingredients in ways that can age or harm skin, while never sacrificing one bit of the effectiveness you need. No parabens. No phthalates. No fragrance. Just happy skin.